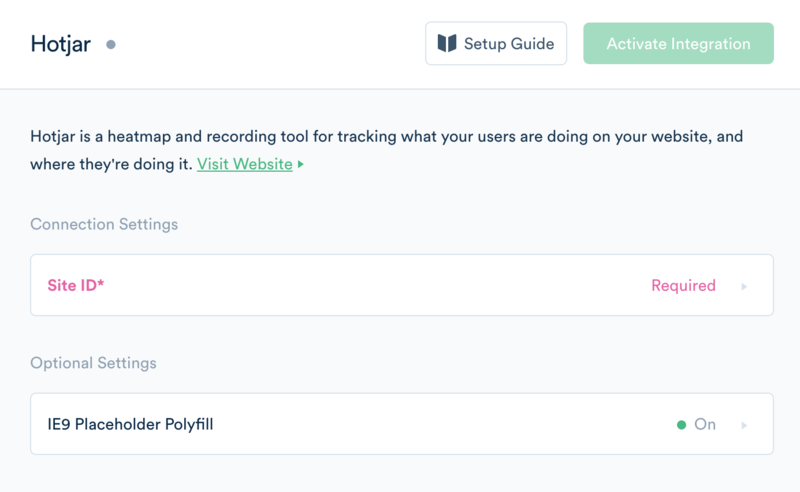 Segment allows website owners to collect data via an API and send it to hundreds of marketing, analytics and sales tools including Google Analytics, Salesforce, MailChimp, and Intercom. The integration allows you to instantly send customer data to Hotjar. 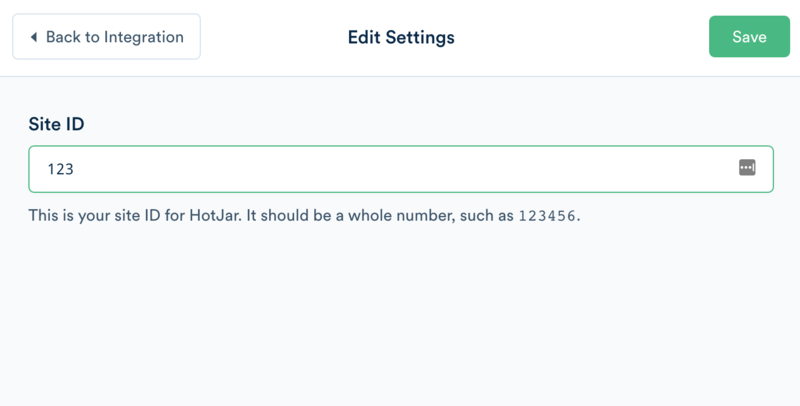 Add or update the Hotjar Site ID in your Segment account and activate it by following the instructions below. Segment’s CDN is updated within 5-10 minutes, when their snippet will start asynchronously loading Hotjar’s tracking snippet. At this point, you should remove Hotjar’s Tracking Code from your page if it's there already. Hotjar will automatically start tracking visits and bound page events you have defined on your Hotjar profile. 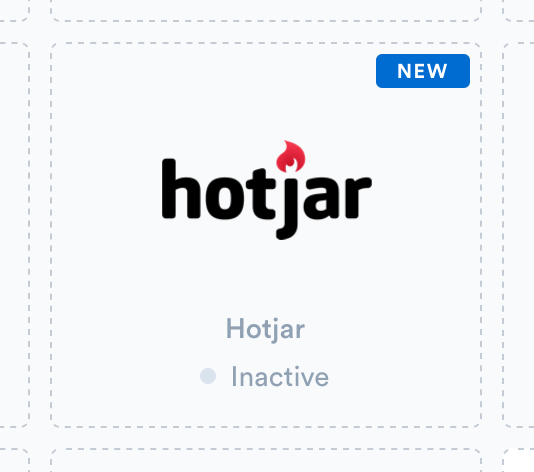 Hotjar triggers that you have defined on your Hotjar profile and placed on your website should stay where they are. They will continue to function normally.